Let me start by saying that Vampires are not actually involved in the process (LoL). 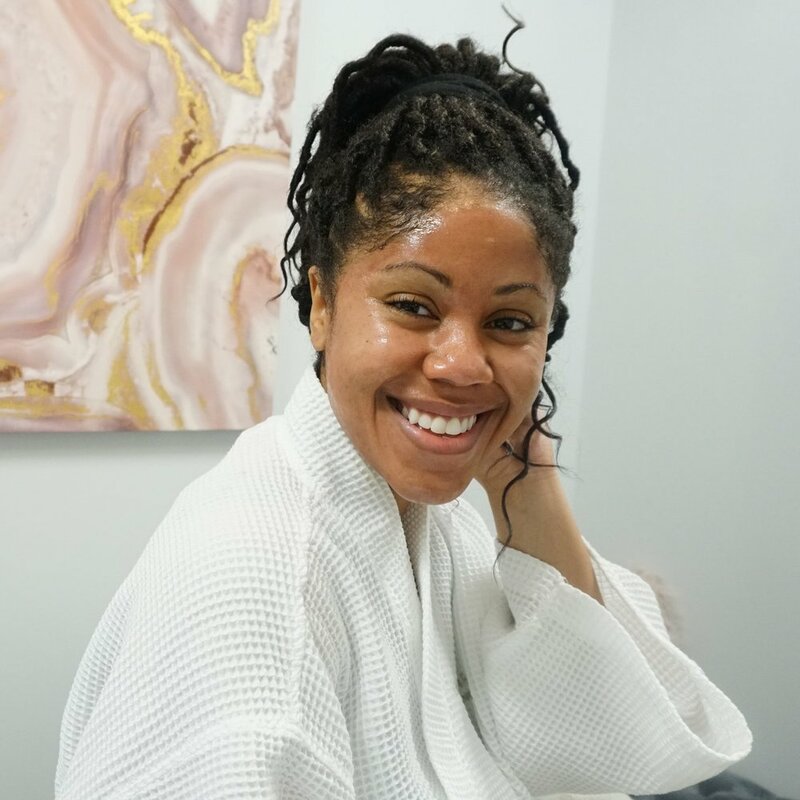 The nickname for this facial treatment plays on the fact that the treatment does involve the use of your own blood & plasma to help promote the healthy activity of your skin cells. You heard me right, this procedure uses your own plasma as a topical solution to stimulate new cell growth. This procedure is best known for stimulating collagen production, rejuvenating skin, improving your skins texture and loss of volume. Most clients see benefits with improving aging skin, acne scars, and large pores. What is the Vampire Facial Process? Before the process begins, a medical strength numbing cream is applied to your face to reduce microneedling discomfort. When the procedure starts, your face is numb and a small handheld device called the dermapen is used to create tiny holes to injure the skin and stimulate natural collagen production. This process uses the body’s natural ability to heal itself and provides natural results. This sounds painful right? But it’s not because a topical numbing cream minimizes discomfort. Most of the process just felt like a warm vibration on my face, and the only areas that felt sensitive with slight discomfort was the very top of my forehead and the very bottom of my nose. Overall, the discomfort is tolerable and minimal. At the end of my treatment, when my plasma was applied to my face as a topical treatment, my skin felt extremely tight and had slight redness as you can see pictured above. Four hours post treatment, I rinsed the plasma off of my face with cold water and soothed my skin with the Urban Skin Rx Ice Roller which felt so good and truly calmed my skin. After using the ice roller, I applied Urban Skin RX HydraFirm Serum and left it on my face overnight. On treatment day, I stayed home and relaxed afterwards, and I’d recommend planning this on a day or weekend where you have some downtime. By day two, most of my redness was gone, and I had no facial tightness at all. On day two, I did not wear makeup and could already see improvements in my skins texture and tone. Overtime as my skin rejuvenates, I expect it to look better and better. I was advised to keep my skincare routine mild for up to 5 days so that I would not irritate my skin. Honestly, by day 3, my skin had no redness or sensitivity and I felt back to normal. Post Treatment Picture: This image was taken immediately after my microneedling. I wanted to show you what my face looked like post microneedling with my plasma serum on my face. If you are interested in this microneedling facial, reach out to Urban Skin Solutions for a consultation and give it a try!. Disclaimer: This post was created in collaboration with Urban Skin Solutions Medspa, but all opinions and content are my own.